You’ve Got Mail….Lots of it! In this day and age, who doesn’t have an overloaded inbox? Even when we have a personal email (or two or three) and a work email, it’s easy to get overloaded. 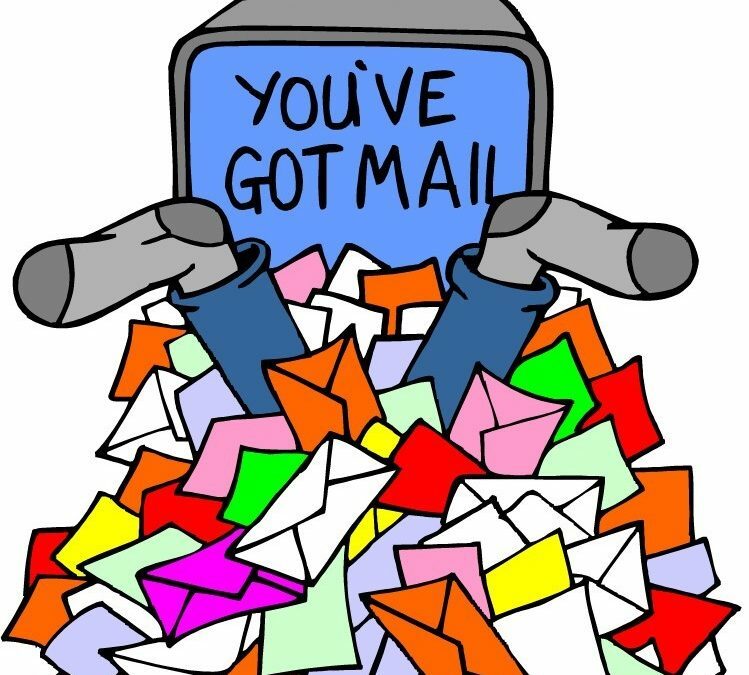 Here are some tips to declutter your inbox. Create Folders so you can file away emails to quickly find them in the future. Related to Suzy’s soccer? Just drag anything into the folder and you can always go back and reference the schedule at another time. Unsubscribe to email newsletters you signed up with good intentions but that’s not getting the information read. Unsubscribe if you know you can’t prioritize this. Create a rule. You can designate a particular folder for certain emails to be downloaded to vs. the inbox. Want anything related to shopping to go into a particular folder? Create a rule so it doesn’t clutter your inbox and your really important emails don’t get lost. Don’t just delete, unsubscribe. Yes, it’s quicker just to delete but if you scroll to the bottom of those pesky marketing emails, you’ll see the “unsubscribe” button. Take 5 minutes a day to unsubscribe online and stop unwanted and unneeded emails from arriving in the first place. Delete unneeded file folders. Did you create an email file folder for Sam’s 4th grade class info? Great. But now he’s heading to high school so it’s time to delete that folder….